Here Is What September Has In Store For Cancer. This September you will enjoy a revival of your social life. Thanks to the New Moon in Virgo, you may even find yourself exploring new places or pass the time with new friends. Your home situation promises to be very pleasant as well, though there is a danger of overspending. Your financial sphere will require a special attention, as Saturn will also make a point of cutting expenses. This situation will be enhanced by an alignment between Saturn and Uranus in the third week of the month. You may find a possible way out by the end of September when the Full Moon shines in Pisces.  The best astrological stress relief tips for Cancer.